Downtown Tampa is on the verge of a bold transformation! 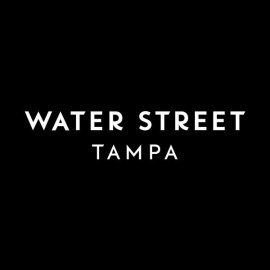 Water Street Tampa is now under construction and will be changing the landscape of downtown and the Channelside district. The new project will encompass more than 50 acres of a mixed-use neighborhood combining businesses and residential living. It will create two million square feet of new office space, including Tampa's first new office towers in the last 25 years. Approximately 3,500 new rental and for-sale residences are planned to nearly double the number of housing units. An active walking experience is at the heart of the design as Water Street Tampa adds one million square feet of new retail, cultural, educational and entertainment space. Also being added is 12.9 acres of new and enhanced park and public gathering places, two new hotels with over 650 new rooms and the city's first 5-star hotel. The existing Marriott Waterside will also undergo a $40 million renovation. The University of South Florida will relocate the Morsani College of Medicine and Health Heart Institute to Water Street Tampa, opening to students in the fall of 2019. Water Street Tampa will connect the existing Tampa Convention Center, Amalie Arena, Tampa Bay History Center, Florida Aquarium, and Tampa Riverwalk to a network of new and enhanced public areas.